Kenya’s beautiful sweeping plains and open savannahs are the backdrop to the country’s romantic identity that inspired the famous ‘Out of Africa’ memoirs. 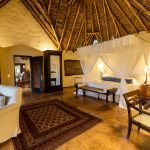 Picturesque scenery, stupendous game viewing and fascinating tribal culture make this the quintessential classic bush and beach destination. The Maasai Mara is spellbinding with an abundance of game year round. 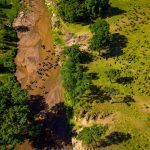 From July through to October witness one of the most extraordinary wildlife spectacles on earth when over a million wildebeest migrate to the Mara’s open plains from the Serengeti. 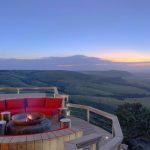 Glide above the grasslands at sunrise in a hot air balloon followed by a champagne breakfast: we can even arrange a deluxe bush picnic atop the famous kopje, featured in Out of Africa, with breathtaking views out to the horizon. The Samburu National Reserve with its palm-lined river, offers a wide range of wildlife including the more unusual Grevy’s zebra and reticulated giraffe. Explore the surrounding area by vehicle, on foot, camel or even quad bike whilst evenings are filled with sundowners on kopjes and bush dinners under the stars. 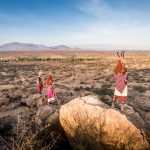 Interacting with the Samburu, offers an unforgettable insight into the country’s important indigenous cultures. 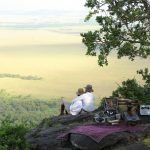 The lesser-known Chyulu hills offer excellent adventure at a flexible and slow pace. Game drives and hidden hides are ideal for witnessing great elephant populations, but it is the out of the ordinary activities such as exploring lava tubes in the volcanic mountain ranges, tracking animals with blood hounds and horse riding across the plains which are most surprising. End your trip on the Kenyan coast for sand that stretches for miles and Swahili cultural heritage. Relax on Lamu Island or those who feel active can snorkel along its 480km reef for spectacular coral formations and thriving marine life. The waters are also ideal for kite surfing and deep sea fishing. 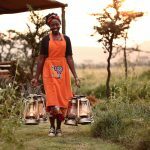 Kenya’s inspiring scenery and unique experiences are impressive for families, honeymooners and intrepid travellers alike.